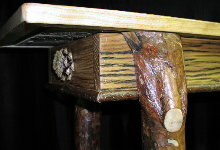 All of our log beds, end tables, and log furniture are unique, one-of-a-kind pieces. 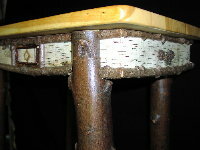 We do NOT use simple, straight, or machine turned logs commonly found in every "cabin furnishings" magazine. 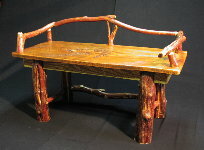 Our log furniture, whether natural birch, hand-peeled red cedar, or solid massive oak, is individually designed to meet your needs and to create that unique and personal look. 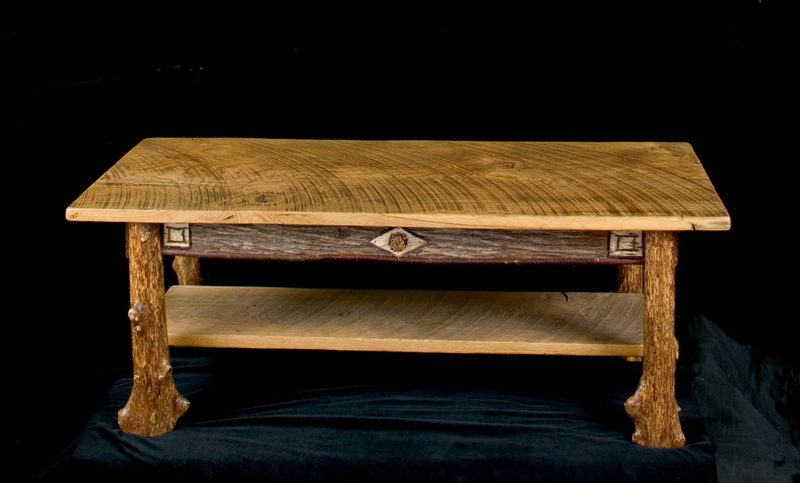 We believe we offer a high quality alternative to the mass produced and common pine and cedar log furniture found around every corner. 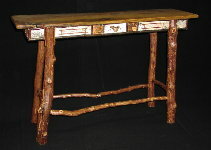 If you are looking for elegant or finely crafted log furniture, we look forward to talking with you.